A team of 17 officers, from Staffordshire Police, has celebrated the successful completion of a 530 mile charity bicycle ride, from Blackpool Tower to the Eiffel Tower, by announcing that they have smashed their fundraising target. Riders from the ‘Tower to Tower 500’ team (TT500) told guests at their ‘Wrap Party’, held at the Victoria On The Square public house, in Hanley, on Wednesday 7th October 2015, that they had raised an incredible £30,688 from their 6-day challenge. And now the cash will be used to fund places on Caudwell Children’s annual ‘Destination Dreams’ holiday. The fully supported family trip to Disney World, in Florida, is arranged to give 25 children with life threatening illnesses a ‘Dream’ holiday. Sgt Steve Marsh, one of the event organisers and a participant in the TT500 ride, was delighted by the support that the team received. He said: “People have given so generously in response to what was a difficult challenge. Their support will have a real impact on the lives of disabled children in Staffordshire. Due to the conditions of those who attend Destination Dreams, 24 hour paediatric medical care has to be provided for the duration of the trip. Simply put these children would be unable to have a holiday without Caudwell Children, and the level of care it provides.”The team has been fundraising for Caudwell Children for a number of years. However, on learning of the difficulties associated with taking a disabled child, with a life limiting condition, on holiday, Steve says they were compelled to fundraise for Destination Dreams. 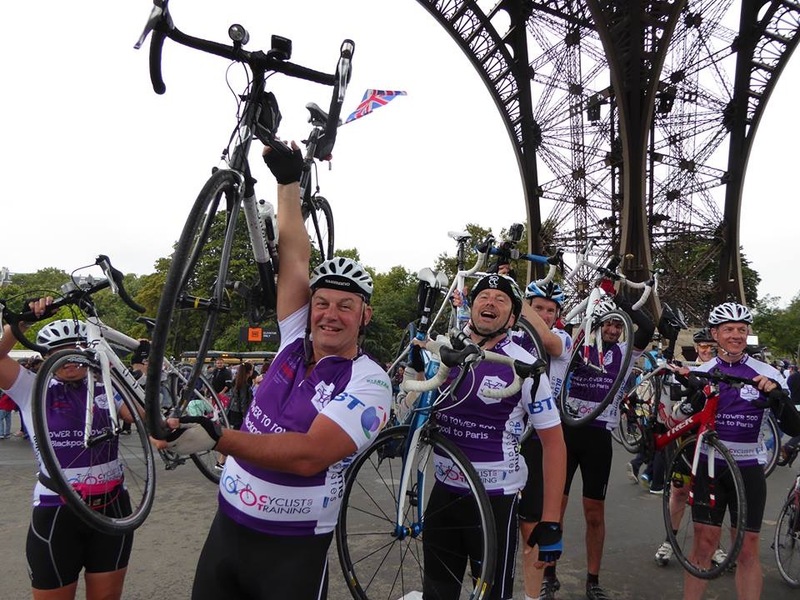 Over the last four years the team has raised over £200,000 for Caudwell Children, through a number of boxing events and a Land’s End to John O’Groats bike ride. PCSO Peter Johnson would like to again thank the people of Biddulph who kindly donated to the challenge “So many people have stopped me in the town asking to sponsor the challenge, it just shows what fantastic people there are in Biddulph”.